Self scanned from Naruto Fanbook Mina/Kai no Sho. 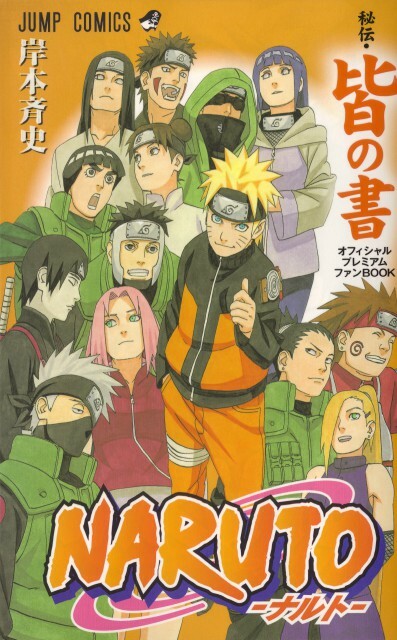 Not hating on Sasuke, but it's nice to see some other Naruto characters in the mix. Hinata looks very cute. Also particularly liking Sakura and Neji. Everyone looks good. I like this picture, love seeing all of them together. It would be nice to see many of these characters furthered developed before the end of the series... heres to hoping. The whole gang, eh? Thanks for sharing~! cool group pic... thanks for sharing! Niceee! Thanks a lot for share. Everyone looks so cool xD. Wow, is this a cover? It looks great! Wow great scan! Thanks for sharing! thanks for sharing this scan !